Looking for something simple, but more unique? 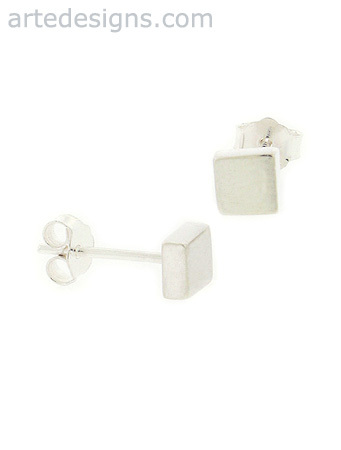 Try these modern sterling silver square stud earrings. These are small (4mm), but they're very shiny! Entire earring and post are sterling silver.